With it becoming harder and harder to find an affordable place to stay in the City of Roses, many are turning to motels that offer high-quality rooms at reasonable prices. Renovated rooms, expanded amenities, and improved management mean motels in Portland, OR often exceed guest expectations. Portland Nordic Inn & Suites, a recently updated, family-owned motel, delivers luxury and convenience at a price that keeps guests coming back. Along highways and in the outskirts of a city are not the only places you’ll find motels. Some motels like Portland’s Nordic Inn & Suites sit on prime real estate, perfect for the needs of all types of travelers. Nordic Inn & Suites is just four miles from the Portland International Airport (PDX) and 15 minutes from downtown Portland by car. A bus will take you downtown in 30 minutes. Nordic Inn is on the edge of Portland’s ultra-cool NE neighborhoods, making it close to some of Rose City’s best restaurants that won’t break the bank. Heading to the great outdoors? The motel is near I-84, the Columbia Gorge’s major thruway, so you’ll make it to nature in minutes. 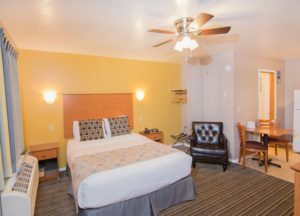 Whether you’re needing a comfortable place to stay before you catch your flight or you want to experience the city center without the prices, Portland Nordic Inn & Suites is one of the most conveniently located motels in Portland, OR. As a top concern for guests, cleanliness is an absolute must. From bed bugs and mold to putrid smells and unidentifiable stains, motels get a bad rap. But many motels break the stereotype and offer the same level of cleanliness you would pay for at a hotel costing twice as much. Portland Nordic & Suites, for example, offers recently updated rooms, which include ultra-fine bed linens, memory foam pillows, and plush, designer bedding. To top it off, the premises are pet-free and allergy-friendly. These updates place the motel’s affordable rooms on-par with much more expensive hotels. In fact, nearly all of the motel’s reviews on TripAdvisor attest to its cleanliness. Amenities are what differentiate a nice motel from an awesome motel. Portland Nordic Inn & Suites caters to both personal and business-class guests of all abilities, making it fall into the awesome category. The motel’s entrances are stair-free and the parking area is well-lit and secure. All rooms have cable tv with premium HD channels, microwaves, refrigerators, hair dryers, and free gourmet coffee. Business fax and copy services are available too. 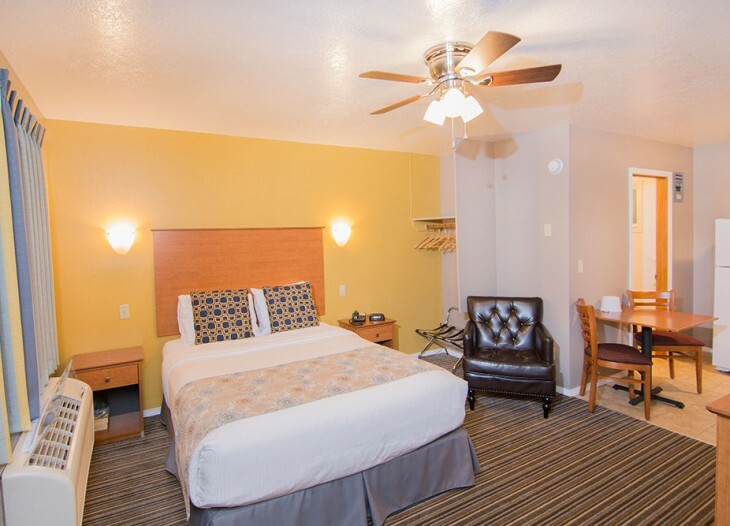 With its convenient NE location, meticulous housekeeping, and luxury amenities, Portland Nordic Inn & Suites offers the best place to sleep for the price. Single rooms start at $80 per night. Family rooms start at $90 per night. And Queen Suites start from $85 to $90 per night. It’s is one of the few motels in Portland, OR offering a level of value that is truly unmatched by other motels in the area. See the rooms and check the latest prices for yourself.